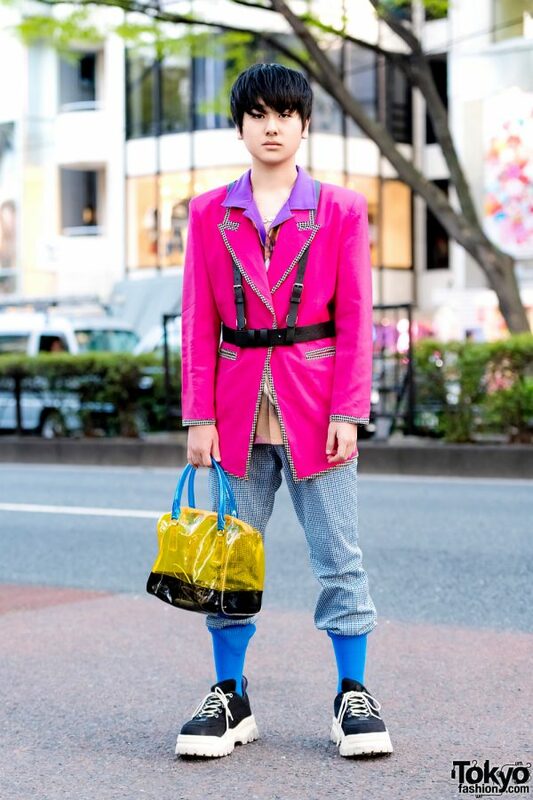 Brightening up the streets of Harajuku was Taira, whose colorful ensemble caught our eye in Harajuku. 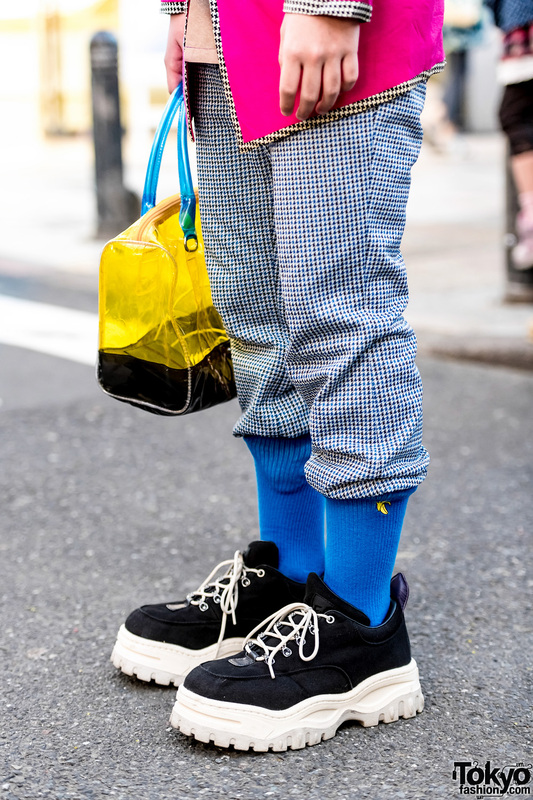 The 16-year-old student was clad in a bright pink vintage jacket, which featured wide lapels and contrasting black-and-white gingham piping. He wore it over a printed Faith Tokyo top with a purple collar and styled them with vintage printed pants tucked into blue ribbed socks. 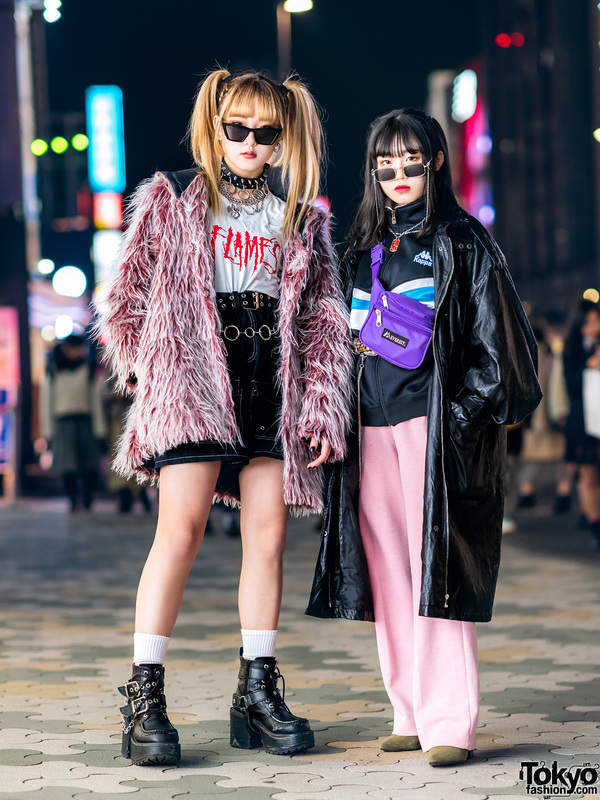 Taira styled them with a black harness and Eytys black lace-up sneakers with white platform soles. 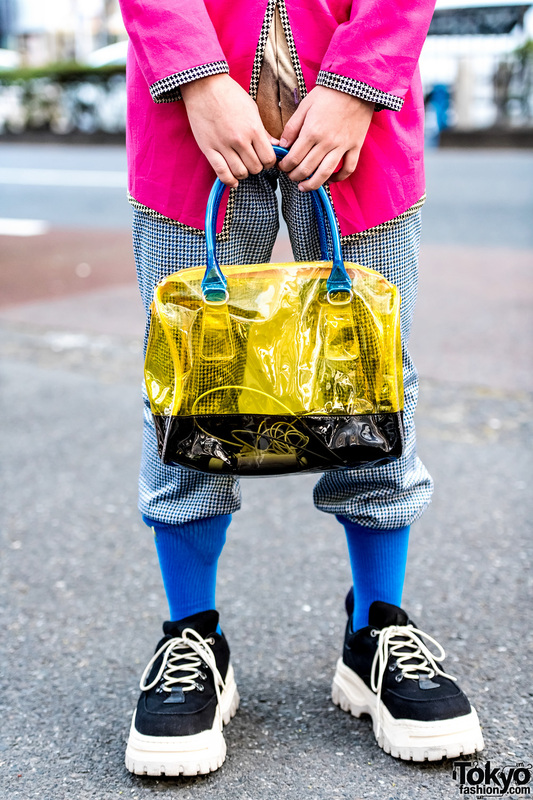 A vintage see-through handbag and Oh Pearl accessories completed Taira’s look. 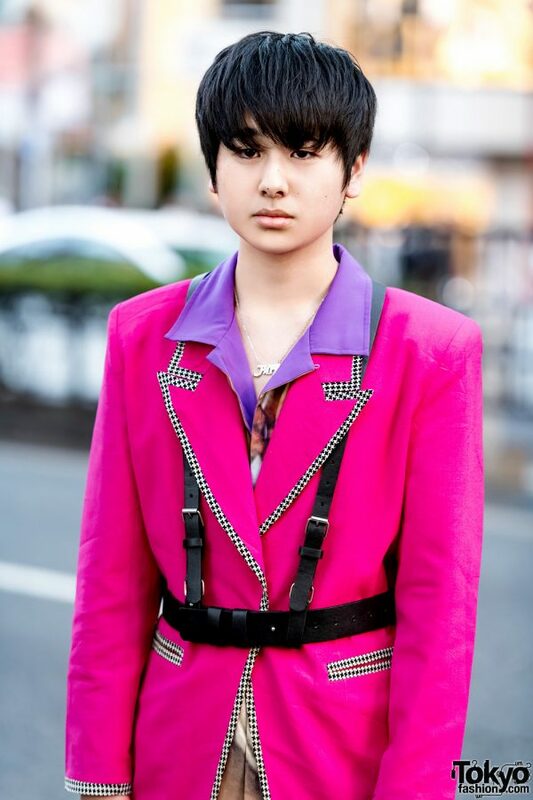 Taira names Eytys as his fashion favorite, and he enjoys listening to music from Yui. Follow him on Instagram and Twitter.